If you are new to fishfinders, you may be asking yourself what exactly a Sonar fish finder is. On the other hand, if you are an experienced angler, you may be wondering which is the best sonar fish finder. We will answer both of those questions below. What Is A Sonar Fish Finder? Conventional fish finders are only able to search vertically underwater, while a Sonar fish finder is able to search in every direction, including sideways. This makes fish finder a high-performance tool capable of searching around your boat in each direction. The photo above will give you a better idea of how a sonar fish finder is able to scan the water. As you can see, the Sonar fish finder scans the water not just straight down, but all around in every direction. This gives the angler superior insight about what lies beneath the water. Now that you know what a sonar fish finder is, let’s take a look at some of the best sonar fish finder reviews. 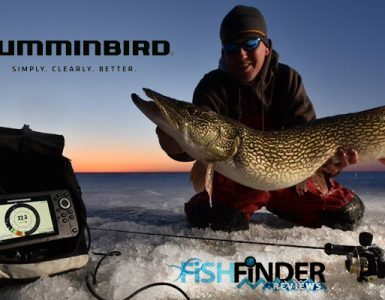 When putting together our fish finder reviews we had to include the Humminbird 1199 as one of our top 3 sonar fish finders. The Humminbird 1199ci HD SI sonar fish finder comes standard with a generous 10.4″ screen that is powered by an LED backlight. Some of the 1199ci’s main features include Down Imaging and Side Imaging, and what Humminbird calls DualBeam PLUS that has sonar power of up to 8K Watts of raw power output. Additional standard features of this fish finder are Ethernet networking and GPS Chartplotting utilizing the baked-in Humminbird ContourXD maps. An in-dash mounting kit and device cover are also included with this sonar fishfinder. Without a doubt, the Humminbird 1199ci HD SI Combo is a truly great device. However, it’s not the best fish finder available. Next in line for our best fish finder reviews is the Garmin 7612xsv Chartplotter/Sonar Combo. The Garmin GPSMAP 7612 xsv was engineered for cruisers, sailing racers, sports fishermen, and sailors who demand the highest performance, feature integration, and ease of use in a chart plotter /sonar combo. 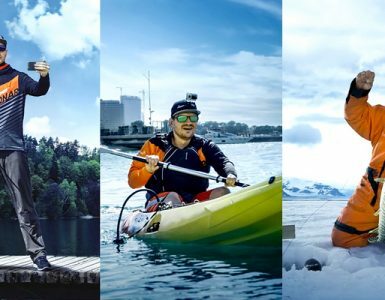 Featuring a 12″ multi-touch widescreen, the Garmin GPSMAP 7612xsv also includes Garmin’s exclusive built-in dual CHIRP sonar in addition to CHIRP SideVü and CHIRP DownVü technologies which use sonar to scan the water and produce the clearest images available out on the water. Amazingly, the internal 10 Hz GPS is capable of updating your heading and position at a rate of 10 times per second. The Garmin 7612 xsv is a fully network capable fish finder, including NMEA 2000 and the Garmin Network, and this fish finder offers the luxury of built-in Wi-Fi connectivity. While this is an outstanding depth finder, due to it’s much higher price tag, we chose the next fish finder on our list as our top choice. 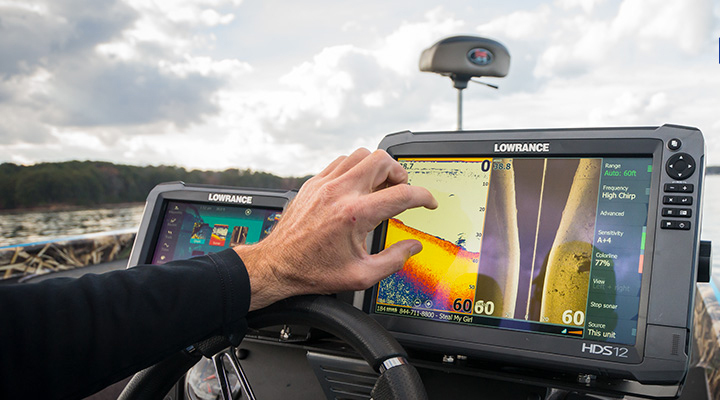 We feel that hands down, the best sonar fish finder is the Lowrance HDS-12 GEN3 Insight Fishfinder/Chartplotter with CHIRP/StructureScan and 83/200+ StructureScan Transducer. This sonar fish finder has an extensive list of features. Among the highlights are built-in CHIRP Sonar, which allows you to dominate the water with better sensitivity, a vastly improved in-water target resolution, and exquisite noise rejection for crisper, easier-to-see game fish and even bait fish. The Lowrance HDS 12 delivers multiple Broadband Sounder and CHIRP frequencies all from one single transducer. With it’s near endless list of features and competitive price (see pricing), the decision was easy to rank the Lowrance HDS 12 Gen 3 as our top fish finder. Check out this playlist on YouTube to learn more about our top pick in our best sonar fish finder reviews, the Lowrance HDS 12 GEN3. Manuals deal with the step by step information of using fish finders. They are meant for every single person using the device that’s why it carries basic steps of using fish finders. User’s first priority should be reading a manual created for the related machine you are about to use. When you turn on your machine for the first time, the settings that you see are the ones set by the manufacturing engineers. These are the default settings. I recommend beginners to use those settings as they are unless they become professional users. If you want depth range and better picture then the transducer must be mounted accurately. Read the transducer section in the device manual by the manufacturer and make sure to follow those steps one after the other. 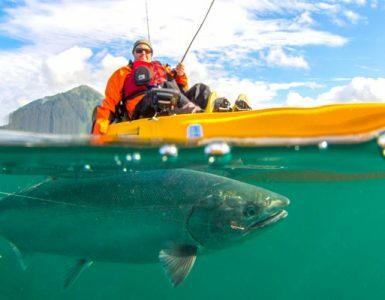 When you are about to adjust any feature or setting of fish finder then just make sure you are well aware of that feature and have read the corresponding manuals properly. If you need a particular feature, then only play with its appropriate settings. DO NOT change various settings at the same time or try to use multiple features at a time else that might lead you to a mess of complicated settings that might be hard for you to reset. Suppressor settings tell the machine that how much noise of the background can be filtered. To remove the background noise is important if your transducer is mounted properly otherwise not obligatory. Generally, suppressor settings are turned off because their mightiness signals of sonar can be blocked completely. As a result, you will not be able to locate a fish.